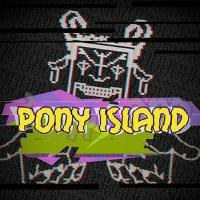 A runner game inside a puzzle game with some less categorizable bits in between, Pony Island is a lighthearted 2-3 hour experience that pokes fun at shady game monetization techniques. Despite casting developers who use these strategies as literally the devil, it’s much gentler than, say, Little Inferno ’s commentary on the same topic. Even Lucifer is shown to care more about whether people like his game than whether they sell their souls to him. While a couple of specific characters in specific contexts address the player directly, the game is usually not about the player but a canonical player character instead. Hints about this character’s identity and the game’s backstory can be found by solving certain optional puzzles, but they are so thoroughly hidden and provide such little concrete information that they seem to exist solely to fuel a collaborative scavenger hunt among the game’s players. The game itself does not suffer if you ignore them and it’s not clear that it was worth including them at the cost of contradicting the fourth wall breaks, which include the game’s most memorable and best moments. I Stopped Playing When: I finished the game and got the normal ending. I did not bother going back for the secret ending, but I did watch it on YouTube.